7-Night Alaska Cruise: Aboard Holland America Cruise Line's ms Westerdam. All meals onboard the ship are included. Baggage Handling: To and from your hotel room and while on the cruise ship cabin throughout your tour for one piece of checked baggage per person. Please note: although all these sites are featured on all departures for this vacation, some departure dates operate in the reverse order. Today your Alaskan Cruise Tour adventure begins in Seattle. If you booked your flight with YMT, a representative will greet you at the airport and transfer you to your hotel. We drive north and across the Canadian border to Vancouver, Canada’s third largest metropolitan area. After a brief city tour and lunch on your own, you will board the ms Westerdam, your floating hotel for the next week, with time to settle into your stateroom before dinner. This distinctive and eye-catching city is built on stilts over the water, with a boardwalk and weathered stairways that cling to the granite cliffs. Stroll Creek Street, the former “Red Light” district with its gold shops, gift boutiques, and restaurants or visit the Totem Pole Park at Saxman Native Village. Today’s port-of-call is Alaska’s state capital city, nicknamed “Little San Francisco” because of its narrow streets and multicolored houses that hug the hillside. Sitting at the foot of snowcapped Mt. Juneau and next to the massive Mendenhall Glacier and Juneau Icefields, this remote yet developed city offers a variety of activities like the Mt. Roberts Tramway, ascending 1800 feet for incredible panoramic views. Where the Gold Rush began, Skagway was the turbulent staging point for prospectors hellbent on getting to the Klondike gold fields; even in modern day, Skagway's well-preserved history and culture brings to life the 1898 gold rush atmosphere like no other Alaskan port of call. Go ashore to stroll the weathered boardwalks and drop in at old-time saloons or shop for gold nuggets. Cruise through the Gulf of Alaska and enjoy a relaxing day at sea as the ms Westerdam sails from the Alaska Panhandle to South Central Alaska and Seward. 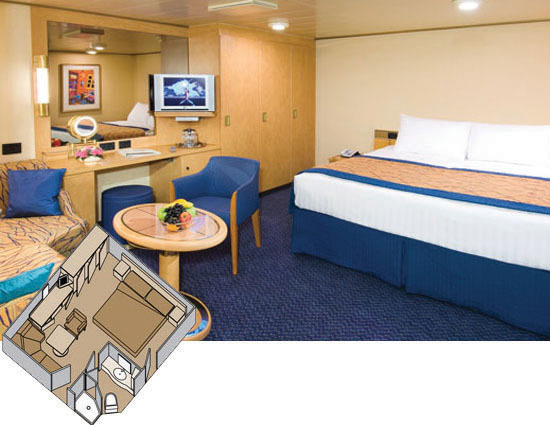 Take full advantage of your last night aboard the ship; the daily newsletter outlines a variety of shipboard activities and the experienced crew will be happy to help with suggestions. We disembark this morning in Seward where the land portion of your Alaskan cruise tour begins. Meet your tour director for a brief tour of this popular fishing village surrounded by the unrivaled beauty of the Kenai Fjords National Park. Then, travel north on your comfortable motor coach to Anchorage and en route visit the Alaska Wildlife Conservation Center to see Alaska's wildlife up close. Upgrade to a scenic 4-hour train ride along the famous Alaska Railroad from Talkeetna to Denali Park. Enjoy 360° views in upper-level seats on Deluxe Dome Railcars for $189 p/p. Alaska Railroad upgrade must be prebooked. Rail and coach travelers meet up in Denali and transfer to the hotel. Spend the rest of the day at leisure or participate in an optional tour. This morning embark on a Denali National Park Tour. Travel 30 miles into the Park aboard an exclusive park bus to explore one of the world’s largest frontiers for wilderness adventure. Your dedicated naturalist will provide a great introduction to the conservation efforts and history of the park. In the afternoon depart for Anchorage. Today, bid farewell to Alaska, taking home a suitcase full of memories and stories to share from your YMT Alaskan vacation! Transfers to Anchorage airport are included for guests who purchased their air arrangements from YMT. Note: Most flights from Anchorage are non-direct with at least one or two connections. Departure flights from Anchorage to most cities are overnight and arrive the following day; some flights depart Anchorage after midnight. Today your Alaskan adventure begins upon arrival in Anchorage. If you booked your flight with YMT you will meet a YMT representative at the airport for transfer to your hotel. Note: Most flights to Anchorage are non-direct with at least one or two connections. This morning embark on a Denali National Park Tour. Travel 30 miles into Denali National Park aboard an exclusive park bus to explore one of the world’s largest frontiers for wilderness adventure. Your dedicated naturalist will provide a great introduction to the conservation efforts and history of the park. In the afternoon we depart Denali for Anchorage. 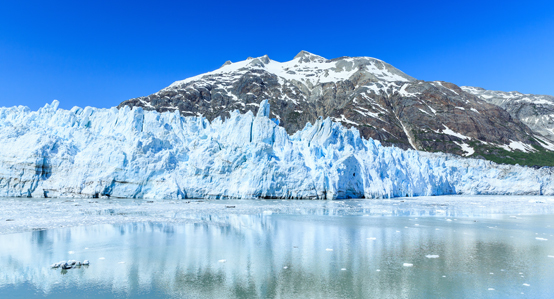 Enjoy a morning sightseeing tour of Anchorage. This afternoon we travel south along the scenic Seward Highway. En route we visit the Alaska Wildlife Conservation Center to see Alaska’s wildlife up close. The land portion of your Alaska cruise-tour ends in the port community of Seward with a brief city tour. 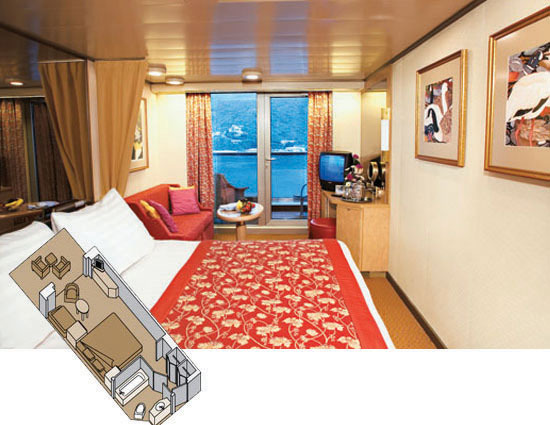 Board your cruise ship ms Westerdam with time to settle into your stateroom before dinner. Enjoy a relaxing day at sea to reflect on all the exciting things you have seen during your Alaska land tour as you sail across the Gulf of Alaska. 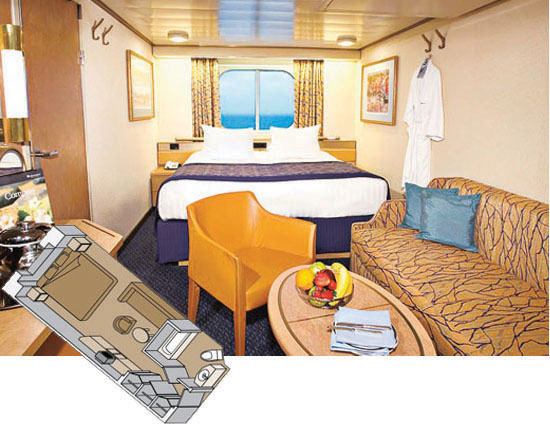 The daily newsletter outlines various shipboard activities and the ship’s experienced crew is at your disposal to help with suggestions. The overwhelming grandeur of glaciers, exotic wildlife, and pristine environment combine to offer a breathtaking view of raw nature. 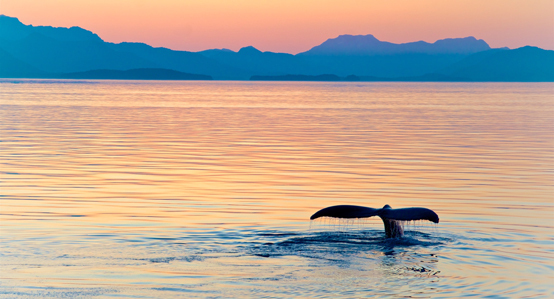 One of Alaska’s noblest and most impressive natural beauties awaits you today. Witness large chunks of glacier ice “calve” (break off) and fall into the bay with a deafening roar as you spend the entire day cruising a 60-mile passage. Nestled on the shores of America’s longest fjord, Haines sits in a spectacular setting and is home to an incredible array of more than 100 indigenous Alaskan animals, most notably the American Bald Eagle. Site of Fort William Seward, the first permanent US Army post in Alaska, Haines played an important role in US expansion north. You have the day to explore the town, with its native art galleries, local shops, and the historic Sheldon Museum and Cultural Center. Nicknamed “Little San Francisco” because of its narrow streets and multicolored houses that hug the hillside, Juneau is Alaska’s state capital. Inaccessible by roads from the rest of North America, visitors and goods are brought to Juneau by either sea or air. A Mendenhall Glacier tour and the Mt. Roberts Tramway are amongst the most popular activities here. After disembarking, your driver-guide will take you on a brief city tour before you’ll continue south across the U.S. border to Seattle. Bid farewell to Seattle, taking home a suitcase full of memories and stories to share from your Alaska vacation. Transfers to Seattle Tacoma airport are included for guests who have booked their air with YMT.